Uttermost's art combines premium quality materials with unique high-style design. With the advanced product engineering and packaging reinforcement, Uttermost maintains some of the lowest damage rates in the industry. Each product is designed, manufactured and packaged with shipping in mind. This artwork is hand painted on canvas and features a textured finish. 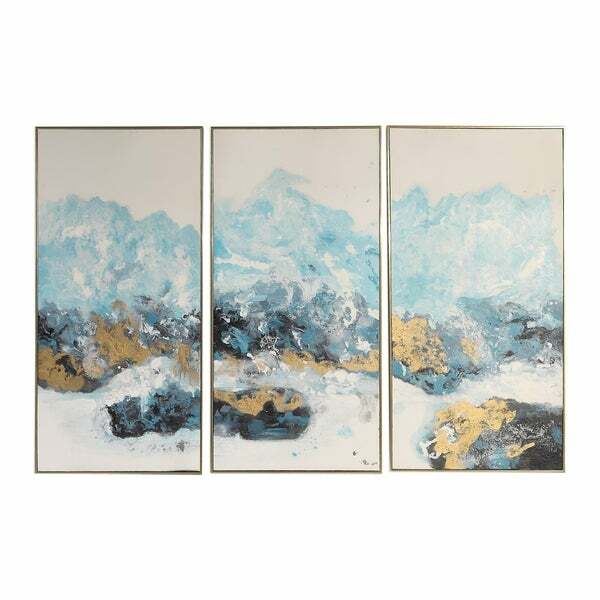 A colorful array of deep blue, medium blue, light blue and navy with gold accents on a white background are encased with a gold gallery frame with black outer edges. Due to the handcrafted nature of this artwork, each piece may have subtle differences. Dimensions 24.25 In. X 2.13 In. X 48.0 In.